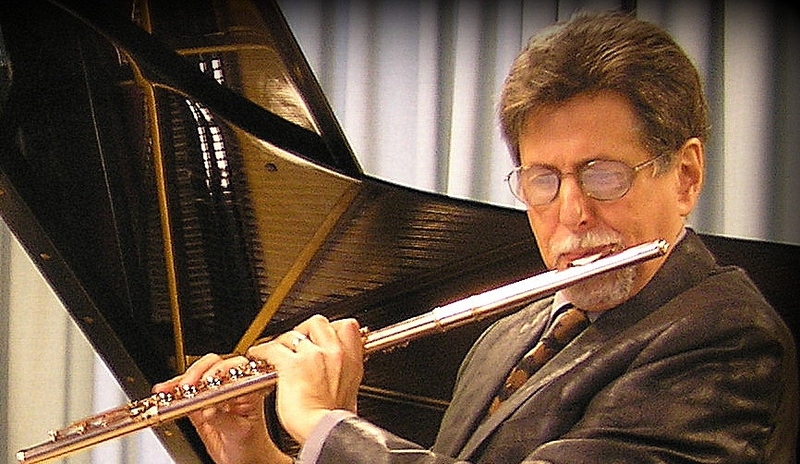 ​Peter H. Bloom, flute, alto flute, bass flute and piccolo, concertizes in the United States, Canada, Europe, Asia, Australia and New Zealand; appears on 45 recordings (Sony Classical, Dorian, Leo Records, other labels); and has given workshops, master classes and lecture-demos across the globe. He serves as contributing editor for Noteworthy Sheet Music; and is a winner of the American Musicological Society’s Noah Greenberg Award. 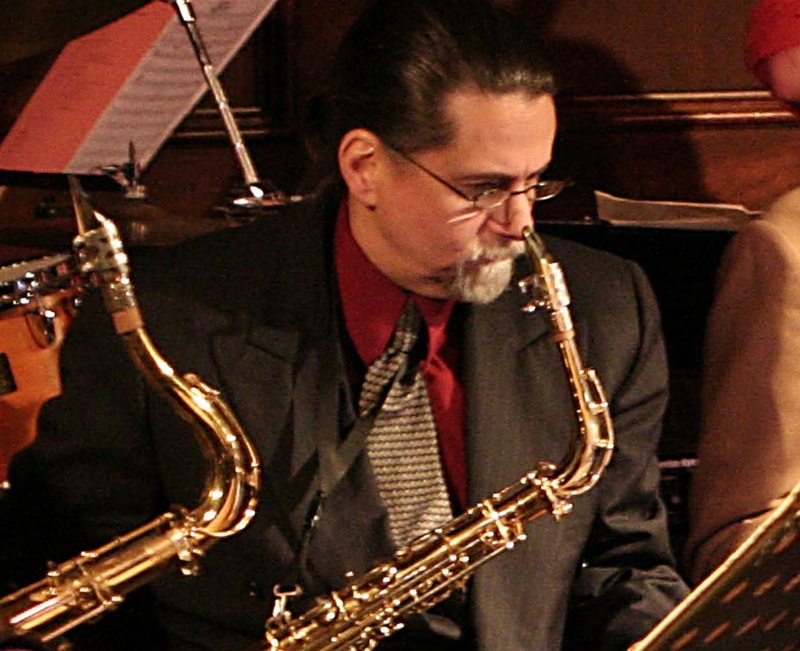 His career encompasses diverse chamber music from the Renaissance to the 21st century, as well as jazz standards, blues, bebop, free improvisation, and the avant-garde. ​An active recitalist and chamber musician, Mr. Bloom tours with Ensemble Aubade, Olmsted Ensemble, the Duo “2” (with pianist/harpist Mary Jane Rupert), mezzo-soprano D’Anna Fortunato, and others, and has performed for New Zealand School of Music in Wellington, University of Canberra College of Music (Australia), Payap University in Chiang Mai, Goethe Institute in Bangkok, University of Canterbury in Christchurch NZ, Mahidol University (Salaya, Thailand), The National Gallery of Art (Washington DC), The Metropolitan Museum, The Wadsworth Athenaeum, and at colleges and universities across the United States, including Harvard University, Georgetown University, Princeton University, Indiana State University, Washington University in St. Louis, Kenyon College, Wellesley College, Bowdoin College, Brevard College, and many more. ​A champion of new music, Mr. Bloom collaborates extensively with composers and has given premieres of works by Richard Nelson, Mark Harvey, Elizabeth Vercoe, Elliott Schwartz, Edward Jacobs, Narong Prangcharoen, Karl Henning, Pamela Marshall, Tim O'Dell, Marianela Maduro, Len Detlor,Joseph Fear, Peter Aldins, Richard Cornell, John Felice, Paul Brust, Matt Samolis, and others. Original compositions, including numerous works written for him, have been a vital part of his concert tours for more than three decades, across forty states and four continents. 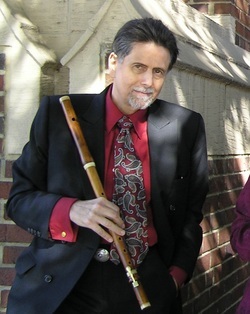 He has performed in festivals and series for adventurous music, including the Back Cove Contemporary Music Festival, the Autumn Uprising Festival of New Music, Todd Brunel’s Vortex Series for New and Improvised Music, the Ninth Ear Composers Collective, Boston's Church of the Advent Library Concert Series, Composers in Red Sneakers, and Open Sound, among others. Mr. Bloom is a noted interpreter of early music, and has given period-instrument concerts in the United States, Canada and Europe, appearing chiefly with Ensemble Chaconne (founding member, 1985). He has performed with the group at the National Gallery in London, Atlanta’s famed Spivey Hall, the Bach Festival Society of Winter Park Florida, Connecticut Early Music Festival, the Royal Shakespeare Company’s residency at Davidson College, the National Gallery of Canada in Ottawa, the 30th Annual Medieval and Renaissance Forum (Plymouth, NH), and the 40th Annual Meeting of the Shakespeare Association of America, among others. Read about Ensemble Chaconne. 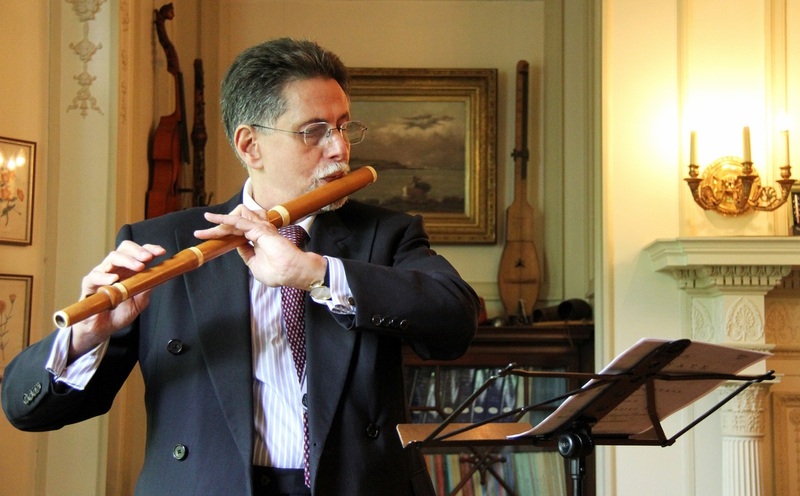 As a specialist in historical flutes, Mr. Bloom has given lecture-recitals for Animusic Portugal (Braga), The New York Flute Club, The Museum of Fine Arts Boston, The American Musical Instrument Society, The National Flute Association, Early Music Boulder, Historic Macon (Georgia), Christie's-New York, and others, and has curated period-instrument recordings for The New York Historical Society, The American Museum of Britain (Bath, UK), and the American Antiquarian Society. 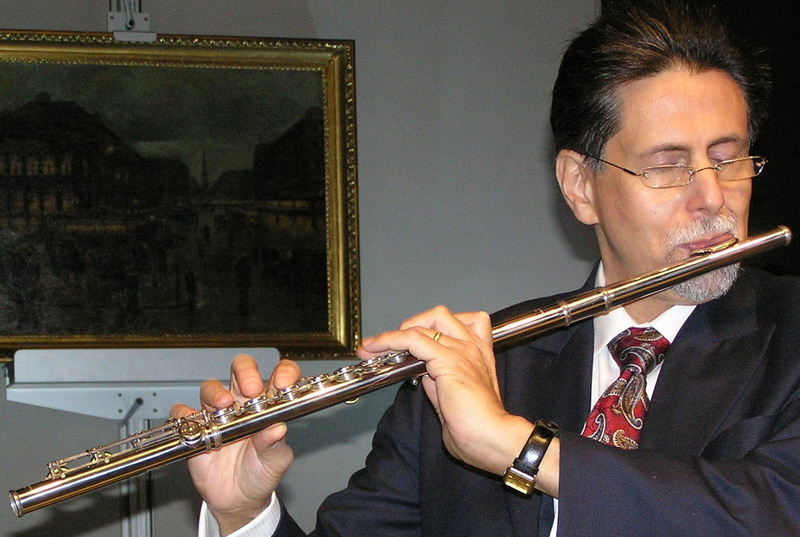 He serves as historical instrument consultant to The Museum of Fine Arts Boston, where he has lectured and performed for more than 25 years and has recorded for the audio guide to woodwinds. He is author of the Alfred G. Badger entry in the Lexikon der Flöte. Mr. Bloom’s career in jazz encompasses standards, blues, bebop, free improvisation, and the avant-garde. He has appeared with jazz luminaries Charles Neville, Jaki Byard, Sheila Jordan, Geri Allen, Taylor Ho Bynum, Walter Thompson, Raj Mehta, Mark Harvey and others. 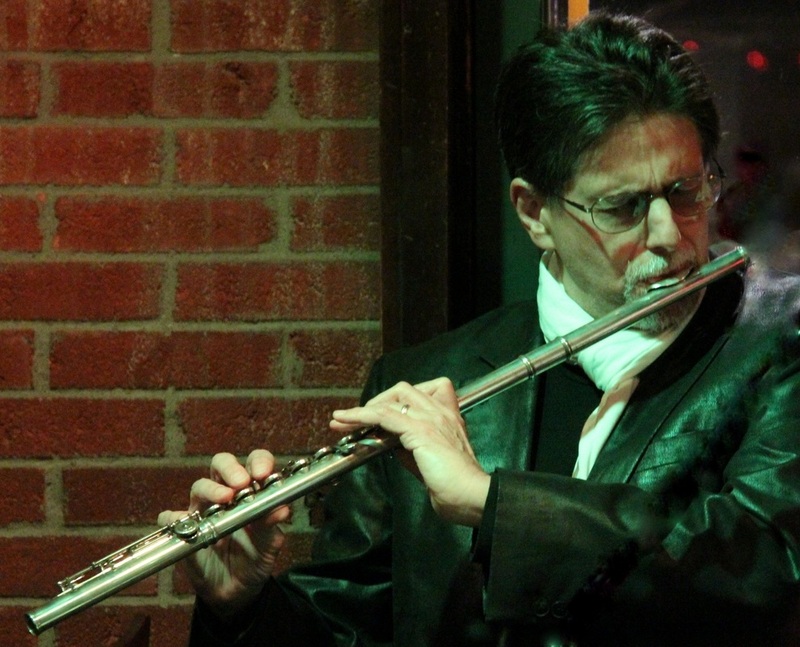 He performs regularly with pianist John Funkhouser, guitarist Mark Leighton, bassist Dave Zox, and other notables. Bloom can be heard on the acclaimed Compilation CD and Book: The Boston Creative Jazz Scene 1970 - 1983 (Cultures of Soul, 2016), including Mark Harvey’s essay on the history of the 1970s avant-garde jazz scene in Boston, plus recordings of the Mark Harvey Group (with Bloom on woodwinds) and other groups of the period. 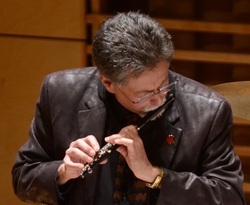 Peter H. Bloom serves as contributing editor for Noteworthy Sheet Music. His arrangements and compositions are available on the NSM website. Visit Noteworthy Sheet Music. Recordings: An extensive discography comprises 45 recordings for labels including SONY Classical, Dorian, Leo (one of the world’s leading adventuresome music labels), Newport Classic, 9Winds, and others. Peter Bloom and pianist Mary Jane Rupert (the duo “2”) are featured on Kleemation and Other Works by Elizabeth Vercoe (Navona Records, “outstanding in every respect, an artistic masterwork” – Dr. Laura G. Kafka, IAWM Journal). Mr. Bloom was executive producer and soloist in D.C. Hall's New Concert and Quadrille Band's recording Grand Concert!, an award-winning CD of concert and salon music heard in 19th century America, praised by Gramophone: "Clean playing and careful ensemble are the keynote...Hall's Band meets the challenge with precision and spirit." Bloom is also featured on another stellar Hall's Band recording Union and Liberty (music of the American Civil War, Dorian/Sono Luminus), rated 5-star by Stylus Magazine ("engineered with splendid sound, Union & Liberty is an unforgettable recording.” ) Other recordings include Measure for Measure: Music of Shakespeare's Plays (Americas Musicworks ), Take Me Out to the Ballgame (music of baseball 1858-1913, with mezzo-soprano D'Anna Fortunato on SONY Classical), and Amoroso: The Heartbeat of Brazil (Boston Musicworks), to name a few.. Bloom also appears on 14 CDs by The Aardvark Jazz Orchestra, including American Agonistes on Leo Records ("a stunning hour of music that is in turn beautiful, poignant and raucous" -- Billboard.com). See Peter H. Bloom's Discography. Education: Mr. Bloom holds an MM with distinction in flute performance from New England Conservatory and a BA (philosophy) from Boston University. He pursued performance studies at Hochschule Mozarteum, Salzburg; Longy School of Music; and Aston Magna Institute. He studied with Robert Willoughby, Stephen Preston, Sandra Miller, James Pappoutsakis, Carol Epple, and David Hart and performed in the master classes of Karl-Heinz Zöller, Walfrid Kujala, Frans Brüggen, Bartold Kuyjken, Robert Stallman, Betty Bang Mather, Wilbert Hazelzet, and others.